• More than a half million pages have been read. • 638 articles have been written. 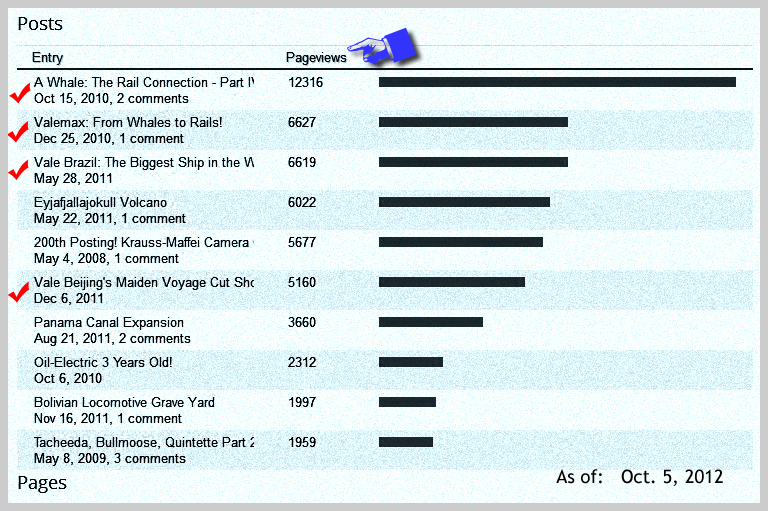 And by far, the most "popular" article is "A Whale: The Rail Connection - Part IV." Even as I compose this article, that story is number two on the list of what folks are reading right this moment! It is almost difficult to comprehend that stories that I write here in my corner office, are read by people around the world, thanks to Blogger and the Internet. What a triumph in communications. We appreciate your support and comments! Now for our feature story concerning the Oriental Nicety. 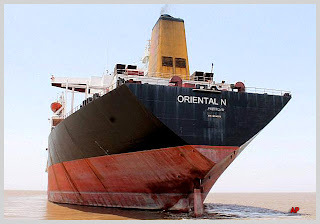 Oriental Nicety was purchased in March 2012 by a US based company Global Marketing Systems (GMS), which is one of the biggest cash buyers for dead ships. 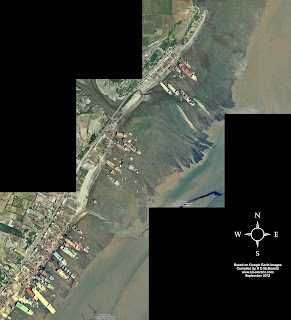 Then she was sold to Chinese owned Best Oasis, Ltd in Alang India for about $16 million. • Powered by a 23.60 Mega Watt (MW) (31,648 HP) Sulzer Marine diesel engine. 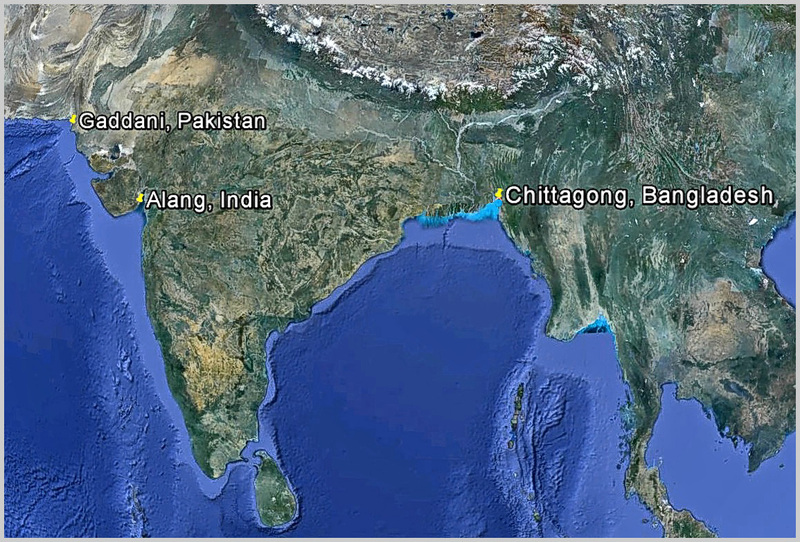 For several weeks, the Oriental Nicety was anchored off the coast of India, as the Indian Supreme Court heard arguments in opposition to her being in Indian waters over environmental concerns. 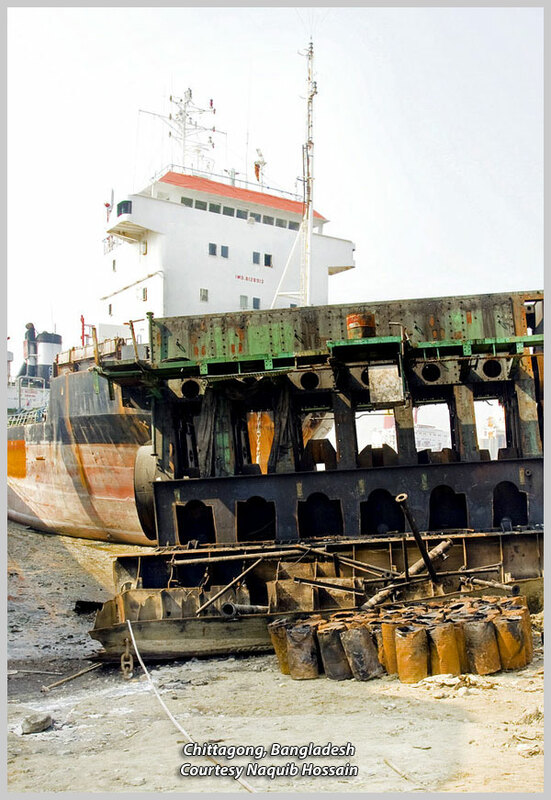 Finally, the Court agreed to let the Oriental Nicety be deliberately run aground on August 2, 2012. However, this is not the first time the Oriental Nicety was run aground. The first time she was stranded was back on March 24, 1989. 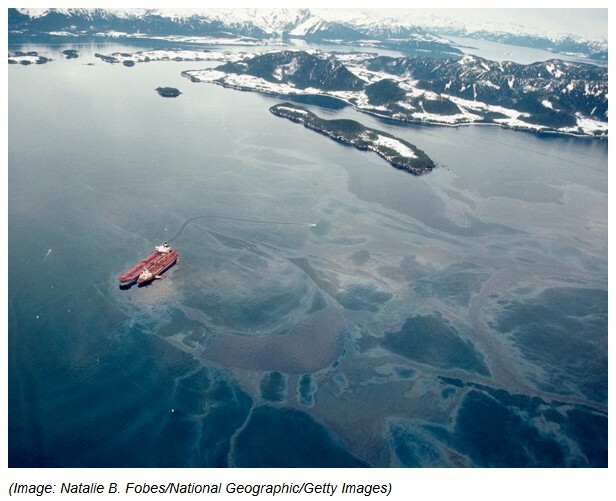 At that time, she was named the Exxon Valdez! Built with great hope and expectation for a fulfilling career, the Exxon Valdez was launched by her builder, National Steel & Shipbuilding Company in San Diego on December 11, 1986. 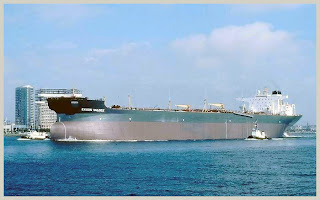 Less than three years later, her much anticipated successful career came to a shuddering grinding halt, when the Second Mate managed to "fetch" the tanker hard aground on Bligh Reef, just outside Valdez, Alaska. 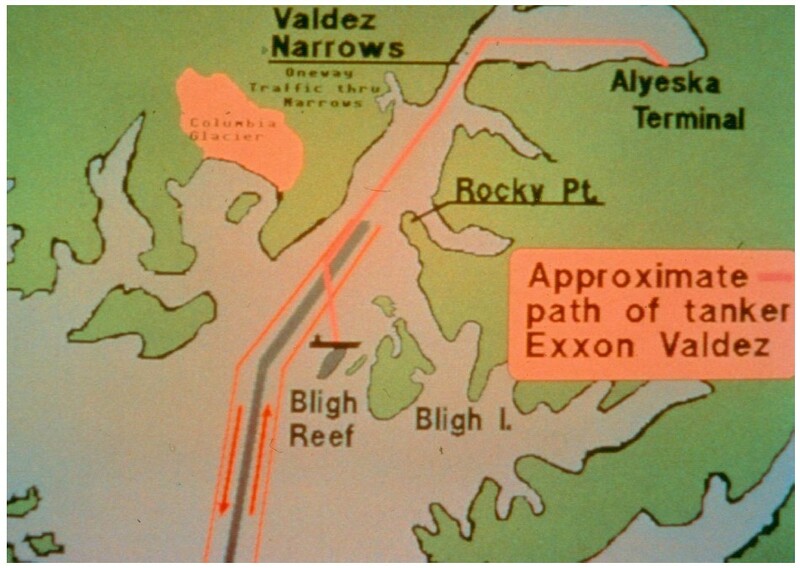 At 12:04 a.m. on March 24, 1989, Captain Joseph Hazelwood contact the Coast Guard Vessel Traffic Control in Valdez, and in an utter monotone voice, intoned, "Fetched up hard aground on Bligh Reef …"
Not realizing that 8 of 11 cargo tanks had been ripped open like a sardine can, Capt. Hazelwood attempted for more than an hour, to disengage the reef. Finally at 1:40 a.m. the chief engineer, citing extreme stress load readings on the hull, was successful in stopping Hazelwood's futile attempts to free the vessel from the reef. 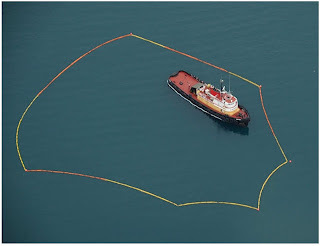 Thus began one of the worst oil spill in history to that date, which occupied news headlines for several weeks to come. 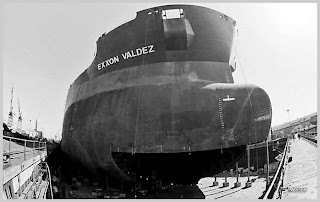 Once the remaining crude was removed from her tanks, the Exxon Valdez was towed to her builder, National Steel & Shipbuilding Company in San Diego, the only yard on the west coast with a dry dock big enough to hold her. Towed by Crowley tugs at an average speed of 3 knots because of the severe hull damage, she completed the 2,500 nautical miles to her birthplace, arriving in San Diego on August 15, 1989. A number of dangling hull plates had to be cut off by divers, to allow her to enter San Diego and the graving dock from whence she was born. Hull number 438 was launched December 11, 1986. 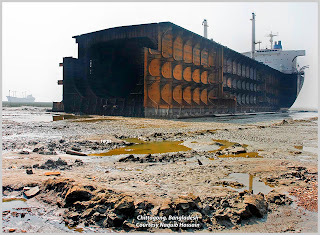 Nine months and USD $30M later, she was floated out the graving dock in late July 1990. 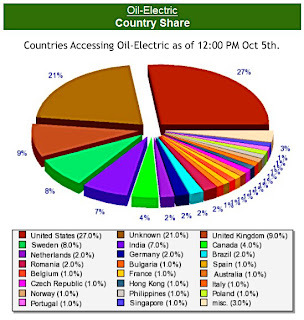 Exxon, acutely aware of what a pariah she had become, renamed her and banished the re-named Exxon Mediterranean to the East Coast. Converted from oil tanker to ore carrier on the Brazil Europe cycle, renamed Dong Fang Ocean. 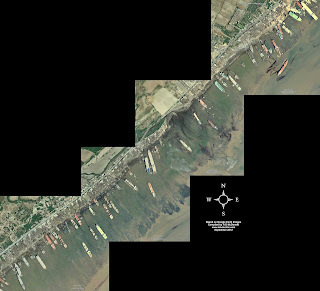 This was precipitated by new regulations requiring tankers to be double hulled. 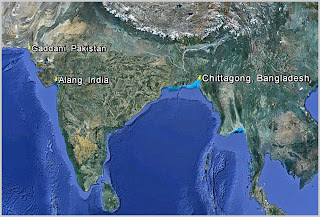 • August 2, 2012, Oriental Nicety run up on the beach at Alang India for dismantling. • Power: 23.60 MW (31,648 HP) Sulzer Marine diesel engine. Best Oasis also purchased and demolished two Canadian ferries, the Caribou and Smallwood. All sites share the same geographic advantages: Long sloping fetches from shore to waterline, and very aggressive tide ranges. 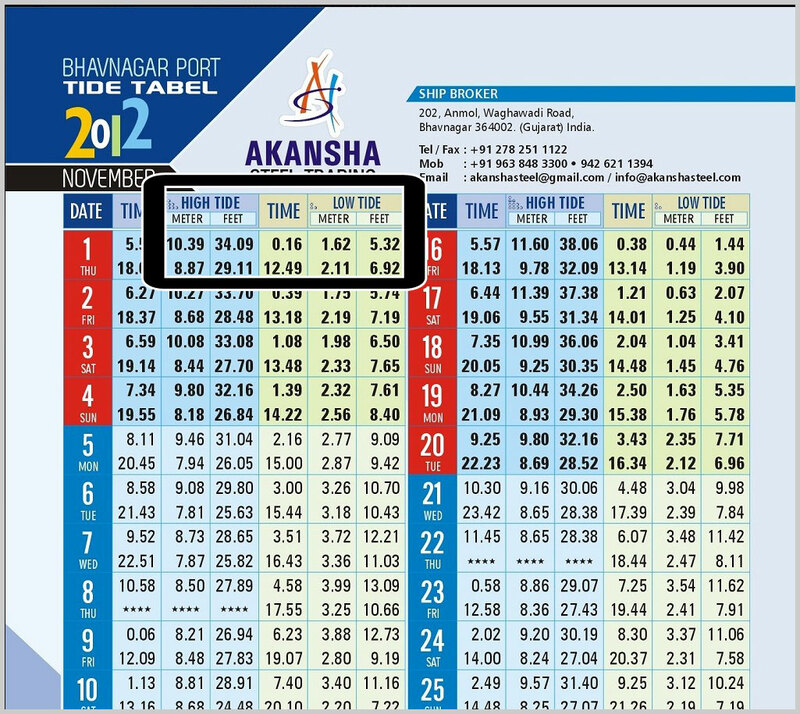 Alang - Sosiya is located on the Gulf of Khambhat, which has up to a 42' tide range. Access to the Shipbreaking Yard at Alang - Sosiya has been a challenge to journalists, who resort to disguises to enter and photograph. 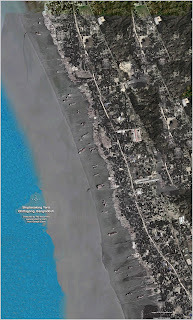 Access for journalists is restricted, due to the shameful controversy surrounding the use of manual labor, and the fouling of ocean beach with all manner of toxic materials such as asbestos, and all manner of liquids from paint and hydraulic fluid to diesel oil. CBS 60 Minutes did manage to gain access to produce a story about the dismantling of vessels in Chittagong, Bangladesh. 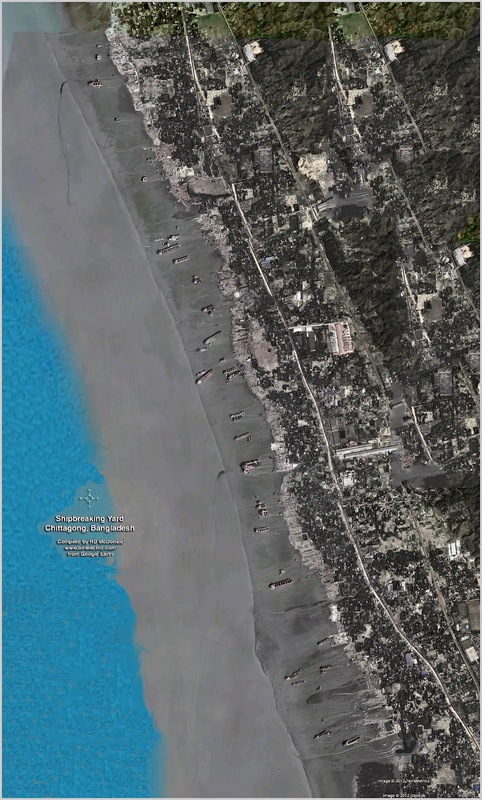 It was precisely due to environmental concerns that the Oriental Nicety was forbidden to be beached, while the Indian Supreme Court heard arguments. 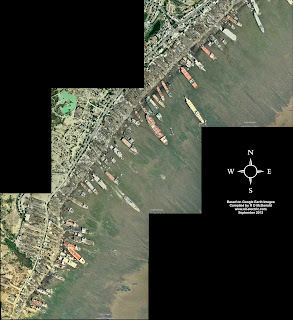 Ships are dismantled, plate by plate, using armies of laborers, without benefit of material handling machinery such as cranes. 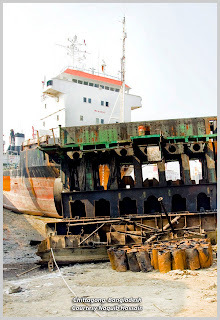 Behind the stripped engine block, a vessel with International Maritime Organization number IMO 8128913. 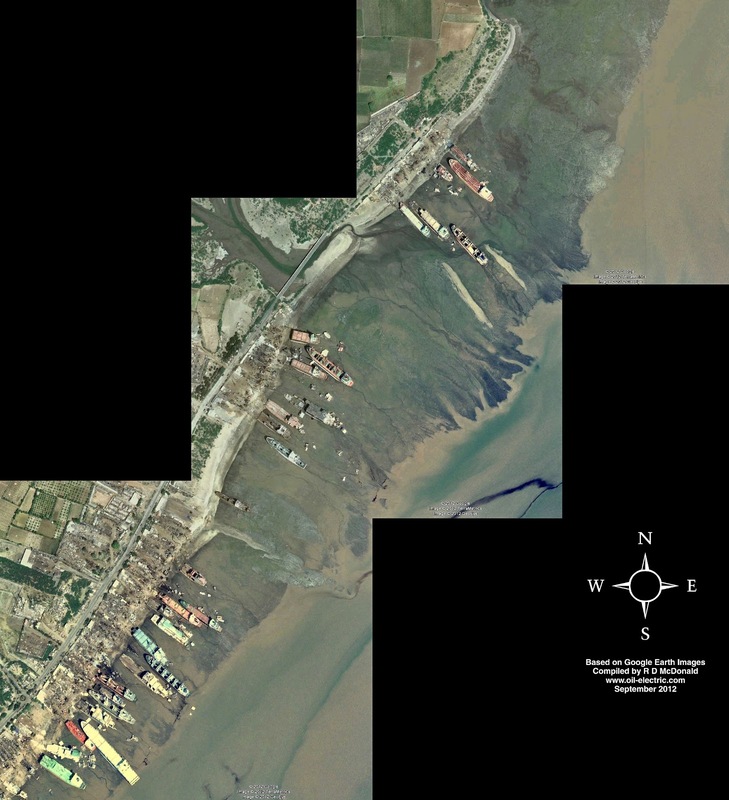 This powerful video, "Workingman's Death," was shot at Gadani Beach (aka Gaddani) in Pakistan. The only power machinery are large winches, anchored above the beach, used to pull cut sections off the vessel onto the beach for further torch reduction into pieces that can be carried by men to waiting trucks for transport to steel mills or yard storage. Mere boys and men, using nothing more than cutting torches, mallets, and rudimentary tools, will demolish this vessel in something like three to six months. All without the assistance of heavy mechanical machinery! Best Oasis also purchased and demolished two Canadian car ferries, Caribou and Smallwood. ANCHORAGE, Alaska -- A tugboat operator says as much as 6,410 gallons of diesel fuel spilled in Alaska's Prince William Sound when a Crowley Marine tugboat - the Pathfinder - ran aground December 23, 2010, on the same reef as the Exxon Valdez 20 years ago. 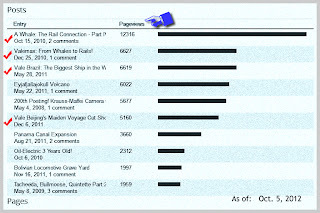 According to the Final Report issued by the Coast Guard, The Captain did several things wrong that caused the accident. First, he changed the Pathfinder's course despite losing track of the vessel's precise location, then increased speed and failed to properly communicate with other officers. The Coast Guard puts the blame for his inattentive behavior on playing "hearts" and other games on his computer and had his back turned to the bridge. The bottom-line of the Exxon Valdez and Pathfinder is this: Two very well designed and constructed vessels did not cause accidents. People did. • The Shipbreakers, William Langewiesche. The Atlantic Monthly; August 2000; The Shipbreakers - 00.08; Volume 286, No. 2; page 31-49. 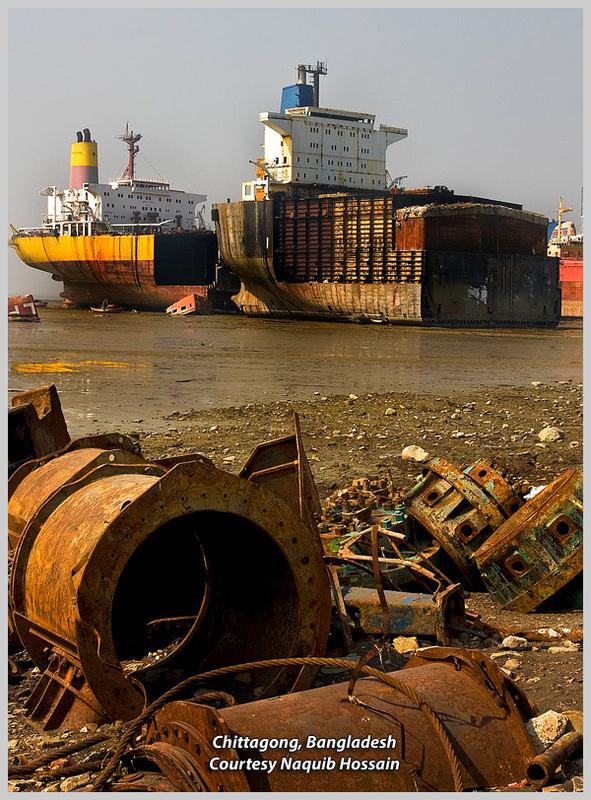 • Ship Breaking & Recycling Industry in Bangladesh & Pakistan, 2010, Maria Sarraf et al. Definitive, detailed description of shipbreaking industry, yards, living conditions, wages, plots, etc. Congratulations on your 5th anniversary, and many happy returns! A happy birthday to 5 years. 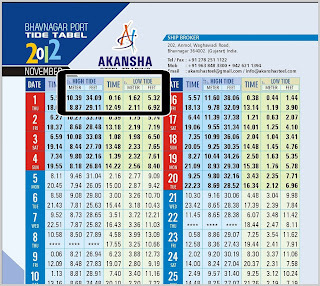 hopefully more prosperous continues. Happy 5th Robert! Always interesting to see your recent subjects. 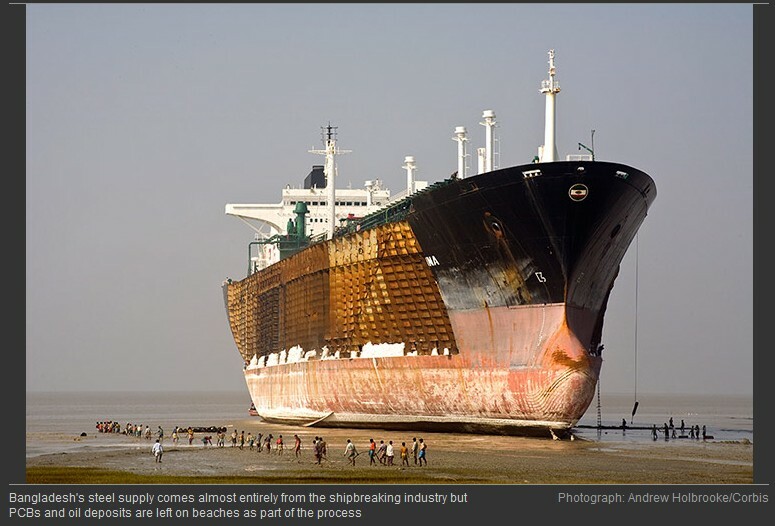 The ship-breakers have received a few Canadian lake boats for breaking as well. One, I believe it was the Algocen, of the Algoma Central Marine fleet, sank on the way. Well, happy late birthday to O-E. Great stuff to read too. A very well crafted article with the 'gotcha' worked in nicely. 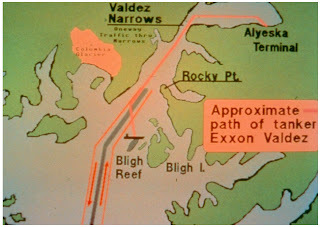 It's certainly interesting to know where the Valdez ended up. Truly an ignominious fate.